The now-former lawyer for Donald Trump tweeted a message to his followers Sunday calling the 2018 midterm elections "the most important vote in our lifetime." Cohen, who will be sentenced in December for federal tax evasion and campaign finance violations that he pleaded guilty to back in August, might have insight into Trump that pushes him to root for his old boss' opponents. At least that's the implication coming from Cohen's own lawyer, Lanny Davis. "No one knows better than [Michael Cohen] why the midterm stakes are so important to America's future," Davis tweeted. "He is the holder of truth about [Trump]." 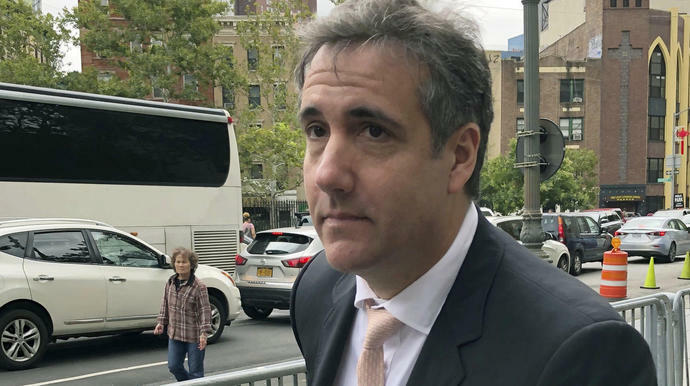 Cohen changed his party affiliation to Democratic on Thursday, but it's doubtful that his participation will change the course of the midterm elections. Democrats are likely more interested in his participation in special counsel Robert Mueller's Russia investigation.